Lowveld, Middelburg, Waterval-Boven, Machadodorp, Buschbuckridge and as far as Siyabuswa area. We have a dedicated, passionate team, endeavouring to live our Vision and Mission. YFC reaches children of all ages by getting involved in the community through different programmes, workshops and projects. We have an international volunteer programme and will expand to get training and real life experience of working and ministering to young people in a closely supervised and culturally diverse environment. YFC School HIV/AIDS program is an initiative which aims to reduce the incident of HIV/AIDS through increased abstinence of youth aged 7-19 years. c. Church Youth Leadership Training and Mentorship. d. Student Representative Council Training. Out of School Youth (OVC) is a peer education project for young adults. The aim is to address the HIV/AIDS issue that affects alll of us. Each group should run events to address the key issues affecting their communities. In conjunction with the schools, we set up a referral system for incidental OVC’s and provide help as we can to relieve immediate needs. As a means to reach the youth in communities with the Gospel and Life Skills, we conduct one weekend rallies in communities, in conjunction with the local church. It is essential to activate church youth and one way to do so is to equip them with skills to be able ministers of the Gospel. Using material developed by a number of leaders, we play our part in partnership with churches. 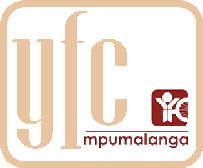 If you live in around Nelspruit, White River, Kanyamazane, Kabokweni or Middelburg and you have a passion for young women in crises pregnancy, please contact us and we will assist you to help them. We are also in need of baby stuff for the new mothers. Please let us know if you have anything to donate.